For more than 15 years, the Welborn Baptist Foundation (the Foundation) has been investing in communities across 14 counties in order to improve the health and welfare of residents in the Indiana, Illinois, and Kentucky Tri-State region it serves. The Foundation refined its grantmaking approach in March 2016 with a commitment to foster a culture of healthy eating and active living by strategically directing resources to support population health improvement. 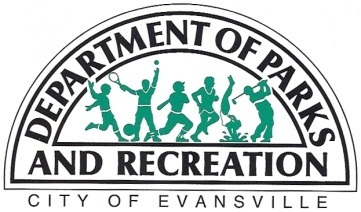 The Department of Parks & Recreation coordinates and oversees the operation of 65 parks and 21 recreational facilities and encompasses more than 2,500 acres of land in the City of Evansville and Vanderburgh County, Indiana. The Evansville Bicycle Club (EBC) is a recreational organization that centers its activities around the sport of bicycling. Our membership includes over 200 individuals and families, most of whom live in the Southwestern Indiana area. The EBC has been active for over 30 years, and is a year-round organization. Improving bicycling opportunities and educating the public are two major goals of the Evansville Bicycle Club (EBC). The club uses several avenues to accomplish these goals. EBC members also “spread the word” and educate the public on safety practices in cycling. One way this is done is by conducting “Rodeos” throughout the tri-state that concentrate on children to learn the “rules of the road” and then immediately practice on a “street course” with actual streets and signs. At many healthy lifestyle initiatives you will find an EBC booth promoting safety information and talking about safety. EBC members also volunteer to speak to various service organizations on changes occurring in the cycling world. Healthy Communities Partnership (HCP) believes one of the best ways to ensure a healthy community is to make sure organizations that serve the community lead by example with policies and an intentional environment that promotes making the healthy choice, the easy choice. In 2018, HCP partnered with the Community Action Program of Evansville, who oversees Head Start, to conduct an assessment of their organization with the goal of identifying opportunities within their policy, systems, and environment, which can improve the quality of life for their employees and the community members they serve. Visit their Website to see additional information.